We specialize in the design & installation of security camera systems in New Jersey. 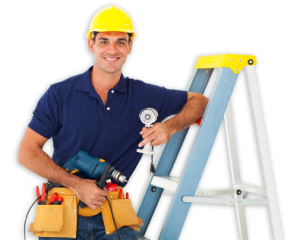 Our team consists of certified technicians that will install at your home or place of business with a white glove service attitude, doing a job well done, making sure our customers are happy and satisfied with the product and service we provided. Make no mistake, when in doubt about who to call for your security camera needs, call us at FVMP Surveillance. We provide the entire system, accessories, training and the peace of mind knowing the job was done right. All of our camera systems are put together by our security professionals. None of them are premade packages you can find at Sam ‘s Club or Costco, those systems are called DIY camera systems (DIY=Do it Yourself). We only use professional grade equipment which has many benefits over the store bought DIY premade systems. Our security equipment will have a 2-3 year warranty (DIY is 1yr), it will last longer, provide a better image in difficult lighting situations and will have better tech support. If you have ever tried to contact tech support for a DIY camera system then you know why its so important to have good tech support. There are many factors that go into designing the ideal security camera system. 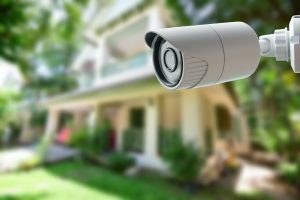 Our Security Camera Installation Form will assist us in designing your custom security camera system. A traditional analog camera system consists of a dvr, cameras and some accessories. The cameras would record onto a dvr where you have the option to record 24/7, at certain times of the day, motion and other options. You can view the cameras live online at any time and rewatch a few hours of constant video if you like. Integrating a security camera to your alarm system is a different approach. First your alarm system needs to have that capability, second you should understand that its not recording 24/7. You’ll still be able to view the cameras live online, remotely etc but it will take 10-30 second video clips if motion is detected. If you have a Honeywell Tuxedo LCD Screen then you can see your cameras from it as well control z-wave devices wirelessly. Security systems offer piece of mind by informing the police when an alarm zone has been triggered, now you can integrate video into your system. There are many benefits to having an IP camera system. The cameras used typically start with 1.3 mp cameras, which is 1280×1024. You have the ability to add hundreds of cameras to the system and many hard drives. Advanced video anaylitcs can make your security system seem alive, if will send triggers for various customizble events. The firmware is usually upgradable allow the system to become more robust in the future with new emerging technology. Want to Discuss your Security Needs? Call us, let us know what your looking for and we will design a system to your application specifications. All of our systems can have different cameras added, the option to upgrade the hard drive for more video storage, a larger monitor or a different DVR. Here are some of our previous jobs. Calvary Christian Center (Newark), Just Nation Pallets (Newark), Carlos Barbershop (Jersey City), John’s Landscaping (Myrtle Beach, SC and others.